Traveling to Colorado Springs for Business or Leisure? Look No Further for Accommodations. 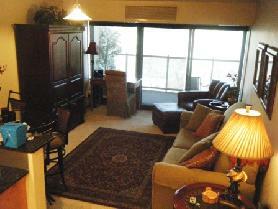 1 bedroom/1 bathroom City Walk condo in Downtown Colorado Springs. This unit is beautifully furnished to make you feel at home. The kitchen has black appliances and oak cabinets for a homey feel. The bedroom is cozy and warm with a queen sized bed. The building features and extensive fitness center and hot tub. To view more information about this property or to reserve it now, click here. 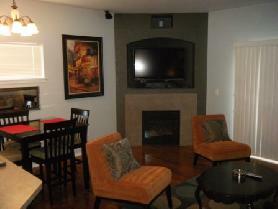 2 bedroom/2.5 bathroom Town Home centrally located and easy commute to the Air Force Bases. This unit has an attached 2 car garage and a washer and dryer in the unit. The bathroom has a large jacuzzi tub. The kitchen is nice and open with stainless steel appliances and an island. There is a fireplace and a flat screen TV in the living room. There are gorgeous mountain views from the living room deck and master bedroom. To view more information about this property or to reserve it now, click here. To contact us or to view all of our spectacular Colorado Springs properties, please visit us at: ColoradoSprings.AvenueWest.com. Nice post! Keep up the excellent work!